Multiple news outlets confirm that Jake Gyllenhaal is in talks to star as the super-villain Mysterio in "Spider-Man: Homecoming 2". Variety reports that the studio is looking to cast "a new male and female lead, with the desire for the male lead to be played by an A-list actor". Gyllenhaal certainly qualifies since he's racked up a number of high-profile awards including an Academy Award in 2005. They also say Marvel is looking to cast "actresses for the female role, which is expected to be someone in her 20s, are currently being auditioned by execs". Here's the irony of Gyllenhaal playing a Spider-Man villain. Before filming "Spider-Man 2", while filming "Sea-Biscuit", Spider-Man actor Tobey McGuire hurt his back. At the time it looked like he might have to drop out of filming and Gyllenhaal was going to be his replacement. In the end, MacGuire did return and the film-makers put in a joke about him hurting his back from a fall. Mysterio is a supervillain who uses various techniques to simulate magical powers. There are several people who have taken on the alias Mysterio starting with Quentin Beck in The Amazing Spider-Man #13 (1964). Beck was created by Stan Lee and Steve Ditko and was a special effects expert and stuntman who decided to use his skills to become a supervillain. There are three other people who have taken on the name but Daniel Berkhart (1975), Francis Klum (2002) and an unknown person named Mysterion (2013) have all become the master of illusion. While he's not well-known outside of the comics he has had a few appearances in animated shows and video games. If he's cast he'll play the main villain in "Spider-Man: Homecoming 2". While Gyllenhaal mainly plays heroic roles in films like "Jarhead", his dark turn in "Nightcrawler" (2014) earned him critical acclaim and was nominated for the Golden Globe Award for Best Actor – Motion Picture Drama. This could be the perfect fit based on how they want to play the character. In the comics, Mysterio is one of Spider-Man's most cunning villains and deadliest. If you take this character and offset it with Spider-Man's experiences with Doctor Strange and other mystical characters it becomes a fascinating tapestry. Check back with the Geek Twins for more Spider-Man: Homecoming 2 movie news and hype! 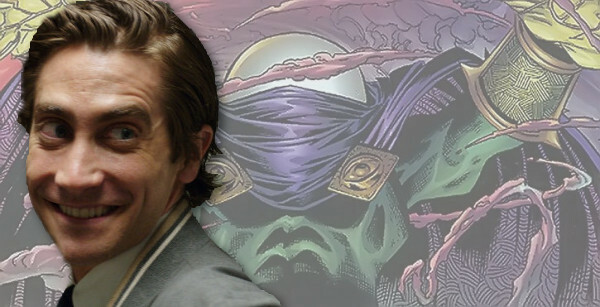 What do you think of casting Jake Gyllenhaal as Mysterio?